Join fellow Alumni and friends to celebrate the I-House spirit for I-House Day Tokyo on Sunday, January 13. I-House Days are a wonderful way to meet, reconnect and gather with fellow Alumni in your city. 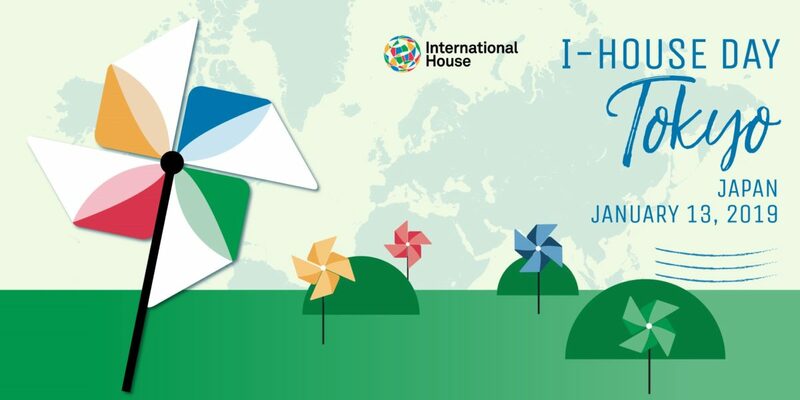 Event details: This is a joint event with I-House Chicago and is open to alumni not only of I-House NYC but also alumni of all the other Houses in the International Houses World Wide group. We will be joined by Denise Jorgens, President of I-House Chicago and Dr. Anil K. Trivedi ’79 of both the NYC and Chicago I-Houses. We will also be joined by Alice Lewthwaite the great-granddaughter of Harry Edmonds who with the support of Mr. Dodge and Mr. Rockefeller founded the House in New York and then went on to found the Houses at Berkeley and Chicago. Alice is re-creating Harry Edmonds’ final world tour that he did in 1966 aged 83. Following Harry’s itinerary as far as possible between 1st of January and the middle of March, Alice will be visiting 18 countries doing 25 stops. Her goal is to meet with alumni in each location and pass the light on, as Harry did, of tolerance, understanding and international friendship. Meeting at International House of Japan will be particularly relevant as whilst the House in Japan was founded in the 1950s by the Rockefellers, Japanese residents have played a prominent part in the I-House history in NYC, Berkeley and Chicago. We are extremely grateful to Denise Jorgens, President of International House Chicago and Dr. Anil K. Trivedi ’79 for hosting this event. A special thanks to the I-House Day organizer Mami Urano. We are so grateful for all her energy in supporting I-House alumni events. Please RSVP below by Friday, January 4.